This quilt has been made to fit as a lap sized quilt to use on those cold, winter evenings and can be used as decoration during the summer months. Measuring 1m x 1m, this is a really useful size. 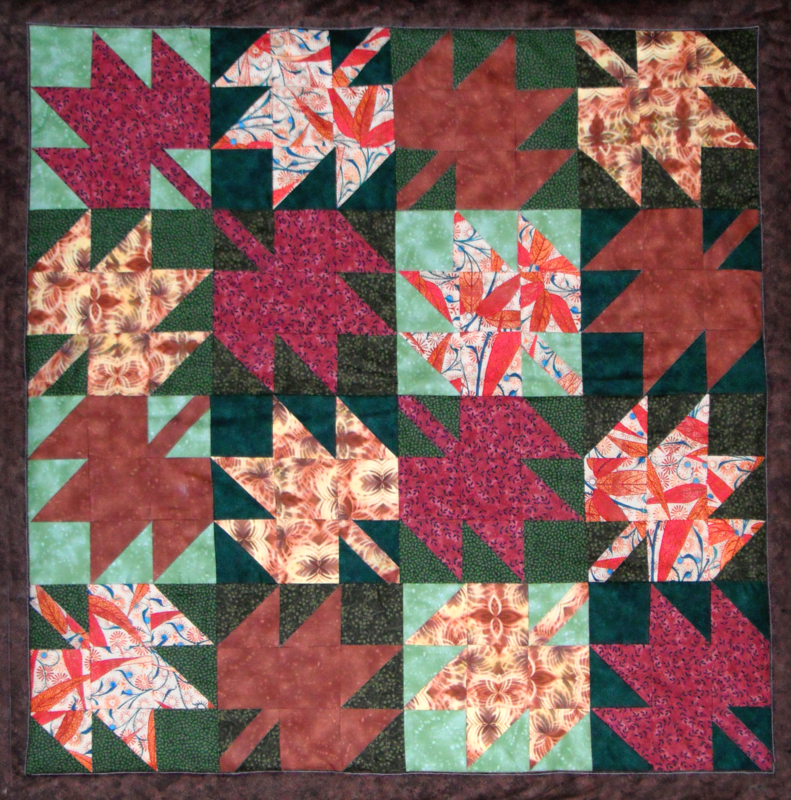 There are only 9 different fabrics used in the quilt: 4 greens and 5 ‘browns’. One brown is used for the border and backing only while the other 4 browns are used for the leaves. No two blocks are the same, as each green has been used with each brown – therefore creating 16 different blocks! Such a simple and effective block used to create a gorgeous pattern.